The 16 German states couldn't be more diverse! From the rugged alpine scenery in the south to the lakes and sea shores in the north, well-known and secret holiday destinations abound. Fascinating traditions and delicous foods vary throughout the country, facts that amaze first-time visitors again and again. Although not all states are internationally well-known as tourist destinations, there are always places worthwhile to visit. Discover the 16 federal states of Germany with me, and find your personal highlight for your next vacation. This is a long page, so click on a link below for a quick jump to the state you are interested in. You can always come back here by clicking the red button on the right which will send you back to the top of the page. Enjoy the information about the states in Germany. The modern German states were built after World War II during the allied occupation. The states in West Germany joined and formed the Federal Republic of Germany (Bundesrepublik Deutschland) in 1949. Only 7 of the 16 new states existed before: Bavaria, Bremen, Hamburg, Baden and Saarland in the west, Saxony and Thuringia in Eastern Germany. All other states were amalgamations of formerly much smaller states and Prussian provinces. In 1952 three south-western states (Baden, Württemberg-Hohenzollern and Württemberg-Baden) merged to form Baden-Württemberg. Five years later, France returned the Saarland to Germany. Berlin was not a state until the German reunification on 3rd October 1990. Berlin was under the sovereignty of the allies, USA, Great Britain, France and the Soviet-Union. 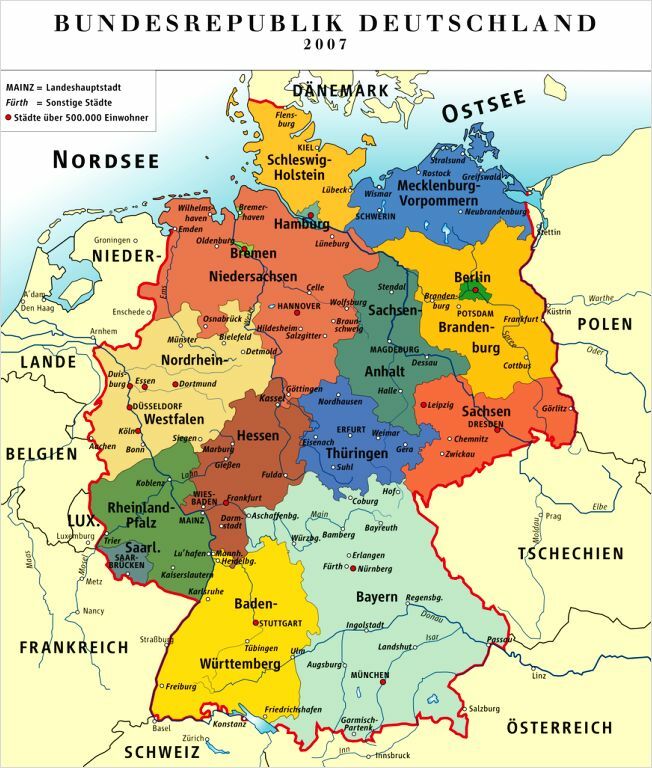 There are 13 area states in Germany (Flächenländer), and 3 city states (Stadtstaaten), Berlin, Hamburg and Bremen. The latter actually consists of Bremen and Bremerhaven. Head of a state is the Ministerpräsident in the area states, and the Bürgermeister in the city states. 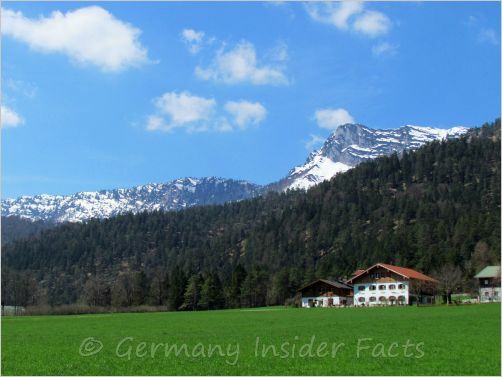 Bavaria is the largest state in Germany, and one of the oldest as well. After WW II Bavaria rehabilitated from an agrarian to an industrial state. Audi, BMW, Siemens and some major insurance companies are based in Bavaria. The culture of Bavaria is distinct, and Bavarians love to be different. They are proud of their traditions, wear their Tracht (Lederhosen and Dirndl) and perform their folk music (Volksmusik) on special occasions. The most famous Volksfest in Germany, you know it, is the Octoberfest in Munich. The Catholic religion is also an important part of Bavarian culture. Bavarians are extremely proud that the former pope Benedict XVI (Joseph Alois Ratzinger) was born in their state. There are a lot of jokes about the German-Bavarian relations, some are even rather nasty. Nevertheless, Bavaria is another favourite holiday destination for Germans and international travellers around the year. After all, Bavaria has a small portion of the Alps within its territory, most enjoyed among ski enthusiasts, hikers and mountaineers. Munich, of course, the capital of Bavaria attracts thousands of visitors every year. Picturesque towns along the romantic road like Würzburg, Dinkelsbühl and Rothenburg ob der Tauber. 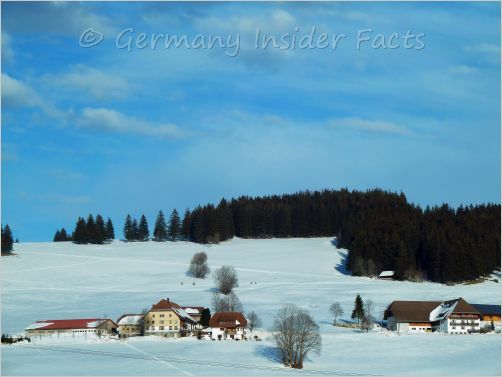 Franconia - the region covers most of the northern & central parts of Bavaria. 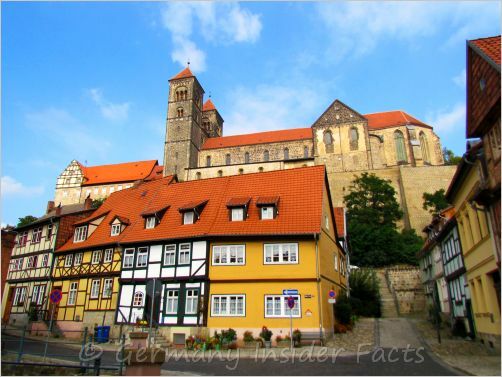 Bamberg, Nuremberg & Bayreuth are well-loved destinations, along with the above mentioned towns on the northern section of the Romantic Road. The most famous castle in Bavaria is definitely Neuschwanstein, but there are many more! Baden-Württemberg is one of the most prosperous German states and considered one of the Four Motors of Europe. Despite world concerns like Daimler AG, SAP and Robert Bosch AG, mid-sized companies are the backbone of the economy. Citizens of Baden-Württemberg are known for being inventive and industrious. "Wir können alles, ausser Hochdeutsch" is a famous slogan to describe their unique dialect. It means we can do everything except (speaking) Standard German (of course they can). This reflects the hard-working people and their distinctive language. Swabian is my favourite dialect in Germany, although sometimes hard to understand. Hessen is one of the smaller German states, but a fine one. What else can I say, Hessen is where I was born and have been living all my life. 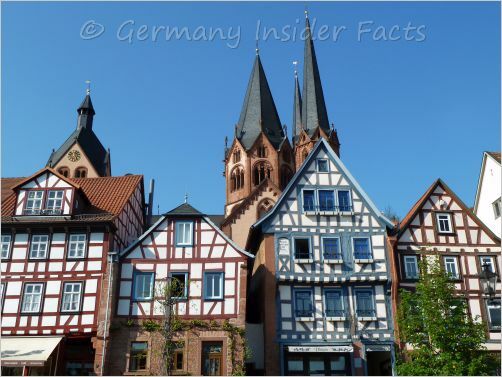 It is home of the Grimm Brothers, and Hanau is the start of the German fairy tale road that goes north to Bremen. The Rhine-Main-area is the second-largest metropolitan region in Germany. Frankfurt is the largest city in Hesse, and the only German city with a "world city" status. Germany's busiest airport, railway station and motorway intersections are also located in Frankfurt. Economy in Hessen is healthy, the main fields are chemical & pharmaceutical industries, and the financial centre in Frankfurt is the most important in Germany. Want to get away from the hustle and bustle? You don't have to go far. Hesse is the most wooded state in Germany. It has placid spa towns, lovely rivers & lakes, and romantic villages. Kassel is the major centre in north Hessen, famous for the "Documenta", an exhibition of modern art. The Documenta takes place every 5 years. North Hessen is the fairy-tale country. It was in Kassel where the Brothers Grimm collected many of their tales. Visit the Sababurg in the Reinhardswald forest, it is the home of Sleeping Beauty. If you've got some time, you can discover the country following the Grimm Trail in the Kasseler land. Gelnhausen, Büdingen, Seligenstadt, Nidda, Michelstadt are beautiful villages, to name only a few. Here is more info to discover the best holiday regions in the southern German states. Saxony is the economical leader of the five "new" states of Germany. Silicon Saxony is not just a nickname, it is an association of nearly 300 companies in the electronics and microsystems industry, including science and consulting organisations. 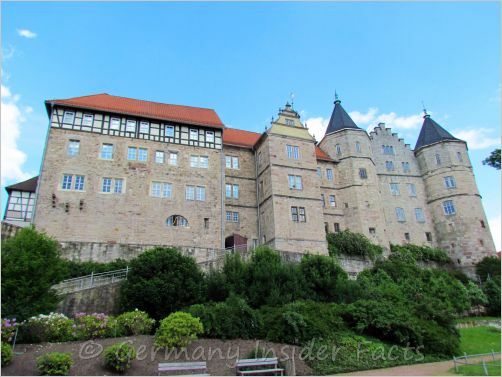 Thuringia is a state where you can delve into German culture and history. Discover towns where famous German people were born, or lived for many years. Johann Wolfgang von Goethe (Erfurt, Jena, Weimar), Friedrich Schiller (Weimar, Meiningen, Jena), Johann Sebastian Bach (Eisenach) and Martin Luther (Wartburg, Erfurt, Eisenach) have left their traces in Thuringia. The Rennsteig is a famous ridge walk in the Thuringian forest. At the end of the day a hearty Thuringian Bratwurst is waiting for you. Germany's westernmost and most populous state also includes the largest metropolitan area, the Rhine-Ruhr region. The subdivision Ruhr (Ruhrgebiet) is also known as the Ruhrpott and the Revier. Since the 19th century, coal mining and the steel industry have been the major industries for more than a century. Coal mining declined in the 1960s. Many of the industrial sites are now home to museums and event locations. Actually, Ruhr was the European Capital of Culture 2010. Apart from industrial cities, which also have their flair and lovely surrounding, North-Rhine Wesphalia has beautiful regions to spend a holiday at. The Münsterland is a cycling paradise, and the Sauerland is a favourite holiday region all around the year. Rhineland-Palatinate is Germany's wine state. 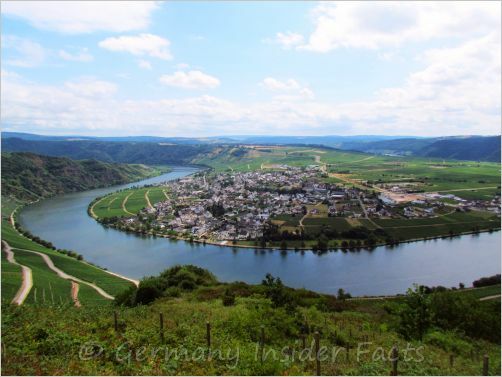 80 to 90 % of Germany's wine exports are grown along the rivers Rhine, Mosel and Ahr. In the industry sector Rhineland-Palatinate is home of the largest chemical company in the world (BASF), one of the largest breweries, and car manufacturers. The most beautiful part of the middle Rhine valley is situated in Rheinland-Pfalz. Explore medieval castles overlooking the river, enjoy a wine sample tour in small villages with beautiful half-timbered houses. The Saarland is the smallest German state, both in area and population. The area consisted of several territories, ruled by different sovreigns for centuries. The region became part of France during the French revolution, but only until Napoleon's defeat. 1870 the French invaded the Saar region again, this was the beginning of the Franco-Prussian War 1870/71. The back and forth continued until Saarland joined the Federal Republik of Germany in 1957. 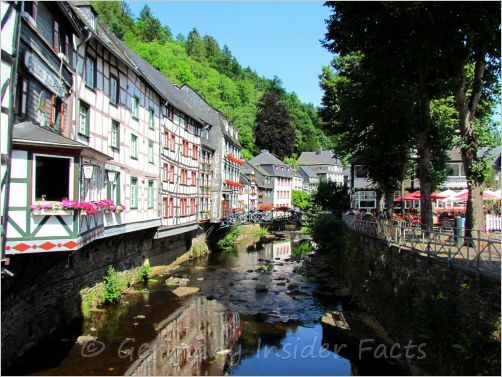 With its history, and the fact of being close to France, many people in Saarland speak French fairly good. Schleswig-Holstein is the land between the seas and the northernmost state in Germany. Bordered by the North Sea in the west, and the Baltic Sea in the east, it is the ideal holiday destination for everyone who loves to sail and surf. Agriculture, wind energy & tourismn are the main sections of the economy. Even if the weather is not perfect for a day on the beach, you can explore beautiful towns and cities like Kiel, Flensburg, Schleswig and Lübeck. Mecklenburg-Western Pomerania is the sixth-largest state with the least population density. Economy suffered a lot after the breakdown of the former German Democratic Republic. In the past 15 years economy recovered. Biotechnology, life science, maritime industry and tourism are growing sectors. The Mecklenburg lake district with the Müritz national park is wonderful for nature enthusiasts, as well as the biosphere reserve Spree Forest. The chemical industry plays a major role in the industrial sector, the area around Halle, Merseburg and Bitterfeld is known as the chemical triangle. The food industry counts on the best soil in Germany around Magdeburg. The oldest German chocolate factory is in Halle. The state is also famous for its Baumkuchen. Sachsen-Anhalt shares the Harz mountains with Niedersachsen. The Harz is Germany's northernmost Mittelgebirge (low mountain range), which comprises lots of sagas and legends. Lower Saxony is the second largest state in Germany. The country rises from the flat plains in the north to the beginning of the German central highlands in the south of the state. Agriculture has always been a major part of the economy. The biggest employer in the industry is of course the Volkswagen concern in Wolfsburg. Although Bremen is considered a city state, it actually consists of two enclaves, Bremen and Bremerhaven. 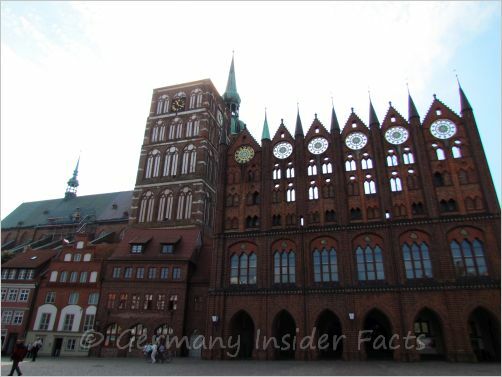 Both cities are surrounded by the state of Lower Saxony, both are located on the river Weser. Bremerhaven is an important container port and home of the German Maritime Museum. 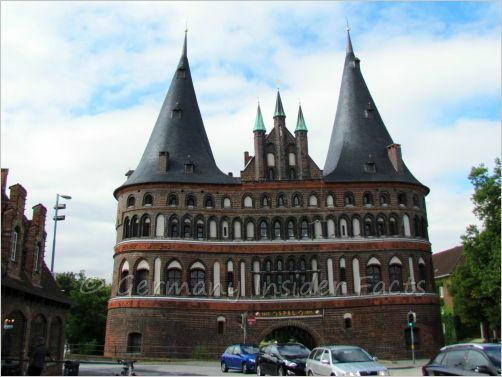 The Free Hanseatic City of Bremen (Freie Hansestadt Bremen) is a very old city with a long history in trading. The Old Town (Altstadt) is the main attraction for visitors with the impressive Town Hall and the Cathedral St. Petri lining the market place. 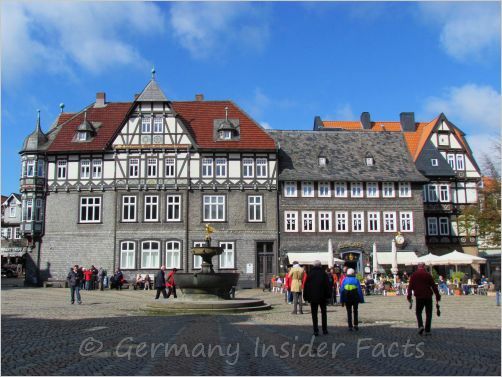 The statues of "Roland" and the "Bremer Stadtmusikanten" (from Grimm's fairy-tales) can be seen on the market square. Hamburg's official name, the Free and Hanseatic City of Hamburg (Freie und Hansestadt Hamburg) refers to Hamburg's status in history. The city was a member of the Hanse, and a free imperial city during the Holy Roman Empire. 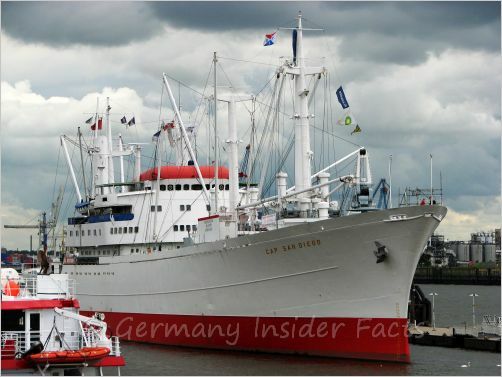 The port of Hamburg is the second-largest port in Europe and a major tourist attraction. The harbour area with the old warehouse district (Speicherstadt) is fascinating, the church St. Michaelis (Michel) is a famous landmark, and sure everyone knows the red-light district Reeperbahn. Berlin is the capital city of Germany, and one of the 3 city states in Germany as well. Located in the north-east, only 70 km from the Polish border, it is also Germany's largest city. Politics, culture, sports, recreation and a vibrant nightlife - you can get all that in our thriving capital. Brandenburg's capital Potsdam, just 24 km south-west of Berlin, was the residence of Prussian kings until 1918. Sanssouci Palace and the surrounding park are a major attraction, and the largest UNESCO world heritage site in Germany. Brandenburg has the second least population density of all German states. A friend of mine who used to lived here, called it the German Outback. So it is no surprise that nature parks and biospheres are a big draw for visitors to Brandenburg. The Spreewald, about 100 km south-east of Berlin, is listed as a biosphere reserve by the UNESCO.